Buying your dream car is one thing and then keeping up to the dozen formalities it brings along with it is another. The good folks at SKODA know what a hassle it is for buyers to go through. To give its customers a smooth ownership experience, SKODA has launched a new app called 'MyŠKODA' which is available for both Android and iOS powered smartphones. The app acts as a one-stop hub for all things about your brand new Skoda. Be it the complete history of vehicle or information about the company's dealership network or even the cost of regular servicing, the MyŠKODA app has it all. 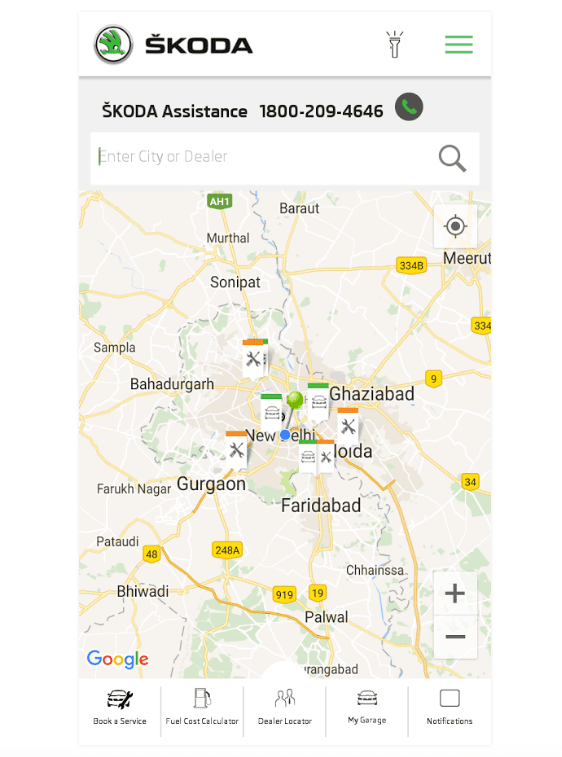 The app packs several features such as booking a service, cost of various spare parts, GPS powered nearest Skoda service center and one that's quite useful & smart - the service cost calculator. One feature that we believe users would particularly love is the facility to store important documents of the car in the comfort of their smartphones. Documents such as PUC certificate, car registration, insurance policies etc. can be easily stored in the app's 'My Documents' section. The app also brings the facility to calculate the overall cost for a trip by calculating how much fuel might be needed for a particular distance - a feature particularly useful for users who want to keep a track of their daily fuel expenses. All they need to do is enter the amount of fuel and the date in the app. The app will calculate the rest. What are your thoughts about having such apps for all car models? Share with us in comments below.